Please read and understand our returns and exchanges policies before making your purchases, as this policy will apply to all customers. All Customers acknowledge acceptance of this policy at checkout. 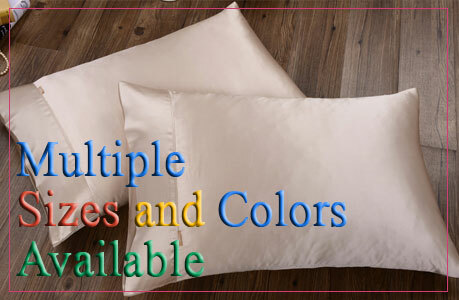 Silk pillowcase, silk fitted sheet, silk flat sheet, silk duvet cover are not returnable because they are custom-made to your order. Silk briefs and silk bra are not returnable because of health regulations. If you are not satisfied with a product you bought online at the EnjoySilk Pajamas Shop, for whatever reason, it is possible to return it only within 10 days of receiving the product, subject to the terms and conditions below. When returning or exchanging product, original shipping fees are not refundable. All returns or or exchanges must be unworn and unwashed. Damaged goods caused by the customers, are not returnable either. Ensure that the product being returned is in its original packaging and in perfect condition. In the case where packaging is no longer in its original condition (ie: damaged, cut, broken), the return will be refused. If your order arrived damaged, please notify us, and return the package immediately. If the error is ours, you will not be charged for additional shipping costs. We will then re-send your new order at no cost to you. EnjoySilk Pajamas Shop presents the most factual and honest information available about our merchandise and never engages in false or misleading advertising or statements, under any circumstances. We will not be held liable for occasional errors or typos, but will make corrections immediately on notification. Therefore, NO claims made by any customer related to accusations of false or misleading advertising or statements, will be accepted, negotiated or compensated at any time, under any circumstances. Any customer considering engaging in false accusations (or any other damaging activity) for any purpose, is respectfully asked to kindly take your business elsewhere!